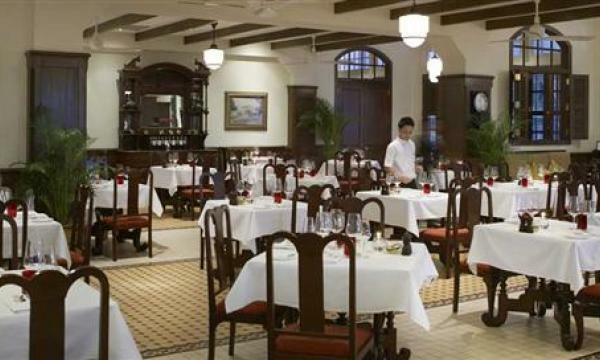 Raffles Singapore rolls out its special Grace Vineyard dinner menu peppered with special courses. Wine Director Mr Stephane Soret and Head Sommelier Mr Eric Li are honoured to host Ms Judy Leissner, CEO of Grace Vineyard, in an exclusive three-course dinner. Each dish of the menu has been crafted by Chef de Cuisine Kenny Chung to complement the fine Chinese wines. During this dinner, Ms Judy Leissner, who was crowned Asian Wine Personality of the Year 2012 by the Institute of Master of Wine in London, will interact and share her wine-making passion with you. The wine selection served during the dinner will be available for sale at privileged prices exclusively at this special event. Some of the menu highlights include spicy dungeness crab cake, tuna tartare, with fresh wasabi, edamame bean peking duck pancake, and hoisin sauce. This special dinner menu will be available at Raffles Singapore's Long Bar Steakhouse, Saturday 6 April 2013, 7:30pm. Prices start at SGD 158++ per person.